Another year another tech problem! I seem to be having really bad luck with computers recently! I’ve been feeling so good about being all ready to get my blog posts done in advance tomorrow and today was going to be the last day I was writing them on the day they go up and then I get an error message when I’m saving my images on photoshop! According to Adobe my scratch disks are corrupted, or possibly full, it can’t make up its mind at the moment. I’ve been having the scratch disc full message pop up for a week or so because it kept reverting back to the default even when I changed the drive it’s supposed to save and install to and it appears that it’s so full now that even opening photoshop is too much so I can’t even change the scratch drive destination. Anyway, I’ve been searching the internet for a solution and it seems I may need to get a new hard drive, which is annoying as it seems the one that’s broken is the one that’s only been put in there last November. I feel a bit like hitting my head on the wall at the moment! I will spend tomorrow trying to figure it out and I’m hoping it’s not a new hard drive as my computer was only just under guarantee last time it got fixed, now it’s definitely out of it. Any tech people out there have any ideas? I’m still a bit fuzzy with antibiotics and throat medicine so I could be missing something totally obvious! I think the next thing I’ll try is uninstall and reinstalling it but I’m not hopeful that won’t give me the same message if it’s corrupted rather than full. Basically, I will be putting posts up but all the photos I had taken to get ahead of myself may not be useable. I’m going to have to try and hijack my parents desktop and see if I can use that maybe. Either that or it’s back to the good old iPad and I’m taking photos for ten posts all over again and have to try and make things look unused! This is possibly a pointless post that will be going down tomorrow but I thought there might be a tiny chance someone else has had a similar problem. I’ll shut up now! I did a recent post mentioning that I’ve been working on a fake rock background for a lizard I’ll be getting and, as I’ve finally finished it, I thought I’d share the whole process with you guys. I know this is a bit of an odd post for this blog but when I was looking around on how to do this it was blog posts like these that I tended to use as a reference so this may end up a bit pic heavy but hopefully not too boring. I promise that the next few posts will be back to regular topics, this has just taken up a fair amount of time and energy and I actually quite like how it looks. Plus it was surprisingly easy to actually do. Before I get started I should say this is the first one I’ve attempted, I’ve definitely learned things along the way and I know what I’d do differently if I ever did this again. I have mainly got information from the internet, especially the Lizard Landscapes website and YouTube channel. I used polystyrene, no more nails glue, standard tile grout, acrylic paint and some craft epoxy resin for mine so there are some differences but the idea is the same. If you’re still interested keep reading! I feel like I should start by saying sorry for not posting as often recently. I will admit that the huge dip in views since actually paying for this blog was a bit discouraging, going from nearly 300 a day every day to under 100 a day did not feel good, but you guys are awesome and I’ve loved the fact that I’m actually getting more comments than ever, so many more, and I’m actually having conversations. That probably sounds odd but definitely more important to me than the whole numbers thing. I feel like I should apologise for being a bit awol on here but I do have reasons and within the next few weeks it’ll all be back to normal, I promise. A post shared by Rhiannon (@thoughtfulpigeon) on Feb 28, 2018 at 7:47am PST //www.instagram.com/embed.jsHey everyone, I can’t believe we’re already nearly half way through March! I said I’d do a quarterly update for my goals so this is a little late but I think it’s interesting to see how people are doing with their goals so hopefully you like reading about mine. I have to admit that some of them have definitely been more successful than others, though I don’t think I’ve done too badly overall and I’m definitely keeping to the same goals for the rest of the year. For me goals are something to aim for but I tend to find that keeping them flexible is the best. Things in life change all the time so why not goals too? Sometimes it’s good to move the goalposts and give yourself a bit of extra time, as long as it’s not something that would have a negative impact on yourself or others, and the opposite can help too. I often find I work best to a deadline which has meant late nights finishing coursework but making little goals and deadlines in life for myself seems to have a similar effect. 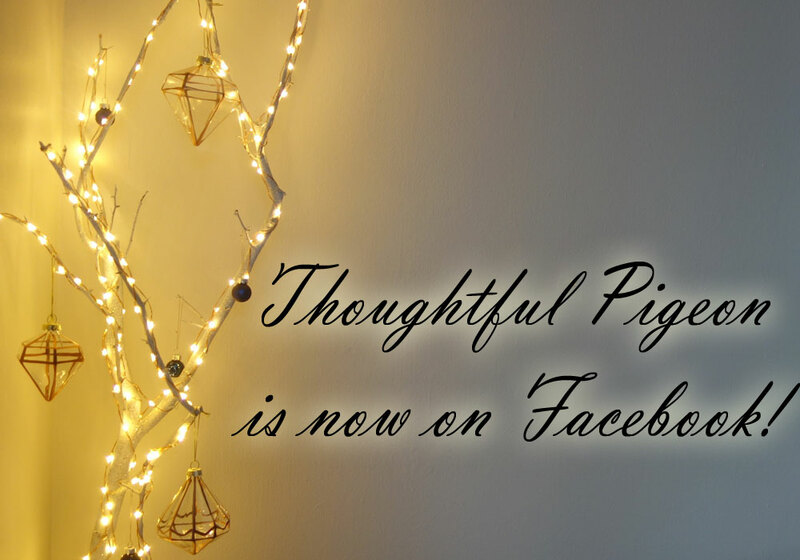 I now have a Facebook page! I guess I’ve kind of had it for the past few days really but I wanted to do a post on here so if you want to follow me over there it’ll have all my blog, Instagram and Facebook updates in one place! I am so far behind on starting this but I thought, with working on the look of the blog, it was the perfect time to actually start one. Hope to see some of you guys over there. I feel like I’ve been away more this past month than I have the whole year leading up to it! 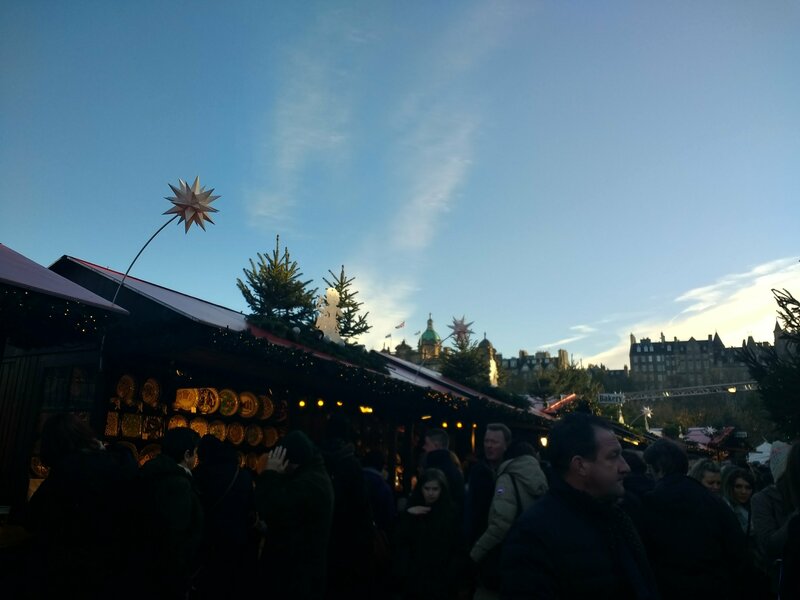 Last weekend I went to Edinburgh with my parents to visit my sister and visited my first Christmas Market, or Winter Market on the day it opened and had an open top bus tour. As Edinburgh is where JK Rowling was living when she wrote Harry Potter there’s a lot of buildings and places around that are supposed to have inspired her so we visited the supposed inspiration for Diagonal Alley (and I Mya have bought some things) as well as the grave of Tom Riddel, possibly the inspiration for Tom Riddle or Voldemort, and the cafe she wrote in. I’ve always thought the hop on, hop off type open top bus tours seem a great way to visit a city. They are a bit expensive but you get to see the sites as well as get on and off it as many times as you want in 24 hours with a tour guide or recorded guide. It’s definitely a tourist thing to do but they go every twenty minutes so you’ll easily get one. My skin is definitely acne prone and I’ve been using the Black Magic face wash from One Hand Washes the Other for years but the customs charges I always get hit with make it so much more expensive so I’ve been on the lookout for a replacement that’s easy to access in the UK and this Dr Organic Tea Tree Deep Pore Charcoal Mask might be the closest I’ve found yet. If you’ve been following my blog for a while you might be aware that I am a fan of the Dr Organic range, or at least a fair amount of their products, as they often seem to work for my skin and hair plus, as a brand, they’re cruelty free and use a lot of natural ingredients. This particular mask, or face wash as I’ve also been using it for, is also vegan friendly. 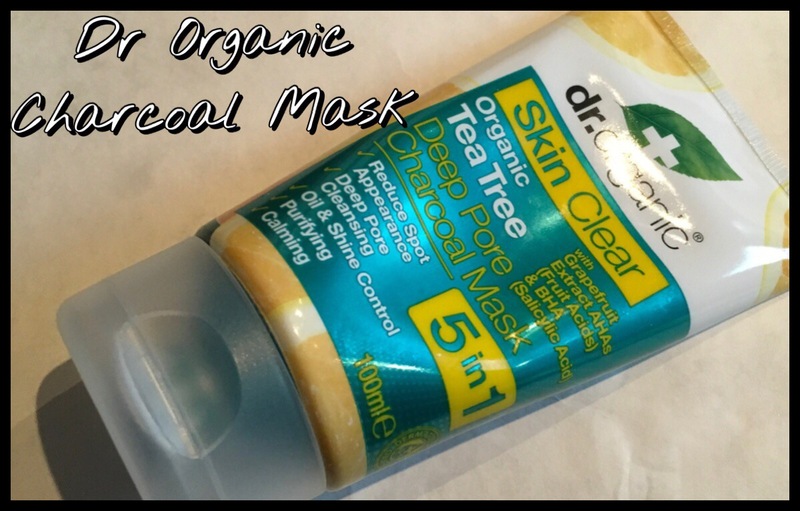 As far as I’m aware Dr Organic is exclusive to Holland and Barrett’s here in the UK and this mask is part of the skin clear range which includes a face wash and moisturiser. It costs £6.99 for the 100ml tube and can be found online or in some of their stores. I thought, as I’ve been away for a few weeks, I’d start blogging again with a bit of a catch up. I haven’t really done that much of an update on my goals, my planned no buy September and what I’m doing with the blog coming up. I’ve actually found that the few weeks off, though the reason for the break wasn’t great, has actually helped me clear my head and get more focussed on what I’m going to do with my blog, or want to anyway. I did get a bit stuck in a rut, despite posting about trying to get out of it before, and did find myself wondering whether I should keep blogging before all of this happened as you look around and see newer blogs doing better with views and likes and things and getting more companies working with them and it did sort of sit there in the back of my mind. However, having had the break, I’m really looking forward to blogging more and have ideas as well as all the things I had planned on posting the past few weeks.